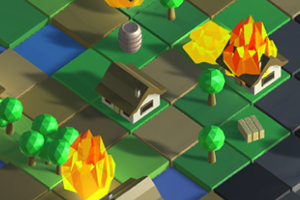 Armed with four types of combustible items, place them strategically around the village to ensure your fire spreads where it needs to for complete destruction! 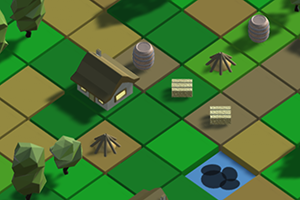 Dynamite, Hay bales, Kindling and Oil at your disposal to ensure the most epic fire consumes the village. Light the house on fire? Start from the grassland off in the distance, its up to you! Set your fire in the best location to ensure a fast and successful burn. 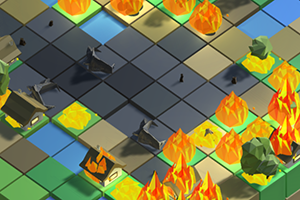 With everything set in motion, you can sit back and watch as your fire ravages the helpless village. Enjoy the birds fleeing trees as they set ablaze, and people running aimlessly as they try to avoid the carnage. Copyright © Graham Weldon 2016.